Hibiscus is a genus of flowering plants of the mallow family, Malvaceae, and is native to warm-tempered regions in the world, like Haiti. In fact, Hibiscus, known as choeblack or rose kayenn in Haitian Creole, is Haiti's "unofficial" National flower. Who knew?! Apart from being beautiful and serving as a common ornamental plant, it has many different medicinal and culinary uses! Side-note: You may be wondering how Hibiscus got the name choeblack, which is the "Creole version" of shoeblack (what it is called in Jamaica). Lo and behold, hibiscus has historic uses as a shoe-polisher! 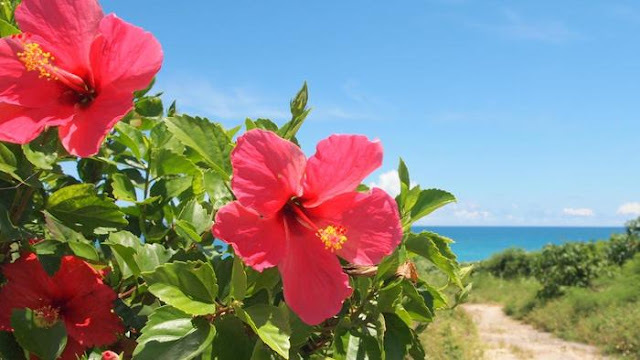 In Haiti, Hibiscus is often used to treat inflammation, diaherra, and hematomas. It is antibacterial, antispasmodic, and anti-hypertensive by nature. In some places, such as Venezuela, it is used to treat tumors due to its well-documented anticarcinogenic activity. On a daily basis, hibiscus is known to successfully treat different kinds of aches (headaches, toothaches, earaches), boils, burns, and menstrual irregularities. I have read that hibiscus can also bring down the body's heat! When you add the flower concentrate to water with a little bit of sweetening if preferable, BAM, you have a cooling concoction to make the harsh heat a little bit more tolerable. contains high amounts of vitamin C, flavanoids (a nutritional fave), citric and oxalic acids, alkaloids, etc. 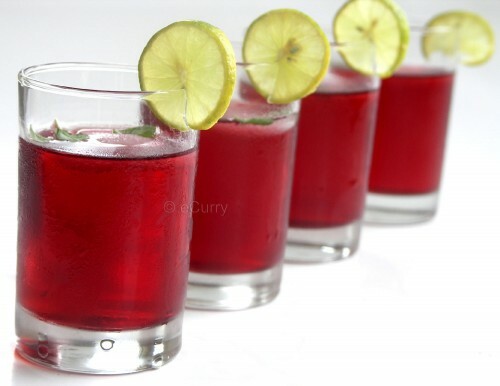 Cheers to the health benefits of Hibiscus! You can find Hibiscus in local floral shops, garden shops, and health food stores (for tea)! But if you're lucky to live in climates where this flower is bountiful....happy pickings! Have you ever used Hibiscus? Haiti has so much to offer Vetiver oil and now adding to the list Choeblack. Thank you so much Naïka for sharing with us those useful informations. Yes, Haiti does have allot to offer....which is why I love her so much. It's a pleasure to share and I look forward to writing about so many more Haitian treasures. The goal is really to glorify Haiti and her people, in my own little way. Also, your blog is cool! I didn't know hibiscus could be used in so many ways. Great post. Sak pase! Stumbled upon your blog and am loving it. For fellow West Indians this is known as sorrel. This is big all over and indeed it makes a killer summer drink.